Serge Ivan Chermayeff was born in Grozny, Azerbaijan, and moved to England at an early age where he was educated. Having begun his career as an interior designer for the London firm Waring & Gillow, by 1931, Chermayeff formed his own architectural firm where, in 1933, he was joined by German architect Erich Mendelsohn. Members of the Modern Architectural Research Group (MARS), together they created some of the most important works in the British modernist movement, notably the De La Warr Pavilion, Bexhill on Sea (1935) and Cohen house, London (1936). In 1940, Chermayeff emigrated to the United States where he joined Clarence W. W. Mayhew as associate architect, helping Mayhew design his own residence. Shortly after the move, he began teach at the California School of Fine Arts. Having moved to New York City to become professor of art at Brooklyn College, in 1946, on the recommendation of Walter Gropius, Chermayeff became director of the Institute of Design in Chicago, stepping down in 1951 when the institute merged with the Illinois Institute of Technology. Between 1952 and 1970 he would continue to teach at several universities including Massachusetts Institute of Technology (MIT), Harvard, where he was instrumental in developing a rigorous curriculum for urban design, and Yale where he continued his research and teaching in areas of human interactions with city planning and architecture. During this period, Chermayeff also maintained a small private architecture practice with Hayward Cutting. Chermayeff wrote several books during his career, including Community and Privacy with Christopher Alexander in 1964, and The Shape of Community with Alexander Tzonis in 1971. 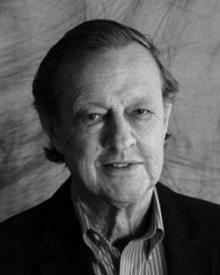 Remaining active in numerous professional organizations, including CIAM, MARS, and the American Society of Architects and Planners, Chermayeff was awarded honorary degrees from several colleges and universities.